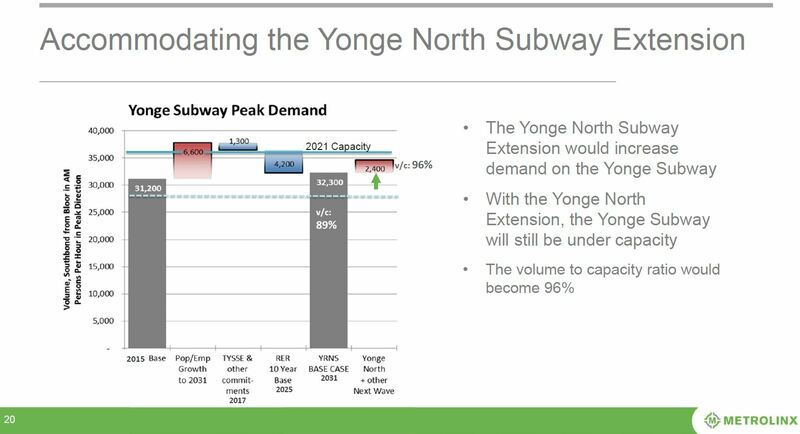 An extended thread of comments developed for the article about the Yonge Subway Extension and the Downtown Relief Line. Because this has now grown in the realm of major changes/additions to VIA’s service, I am moving all of these comments to their own thread. How Will SmartTrack and GO/RER Co-exist? 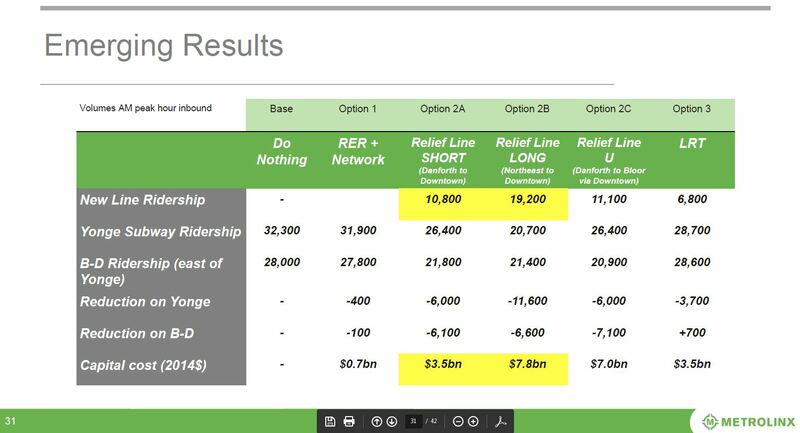 Metrolinx has published an update on studies of how the proposed SmartTrack service will be integrated with its own GO/RER (Regional Express Rail) offering. This will be considered at their board meeting on February 10. This covers several issues, and begins to nail down just what SmartTrack might, or might not, resemble that is beyond the scale of postcard election literature. As we already know, major changes are planned to the western leg where the Crosstown West LRT will take over the function proposed for SmartTrack beyond Mt. Dennis. 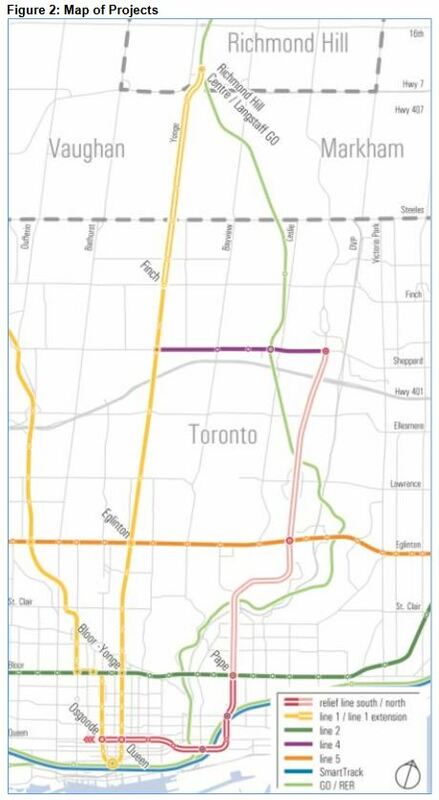 To the east, SmartTrack remains in the GO Stouffville corridor, but the Scarborough Subway Extension (SSE) has been scaled back to a one-stop line serving only the Town Centre, and the Crosstown East LRT will provide service to eastern Scarborough. 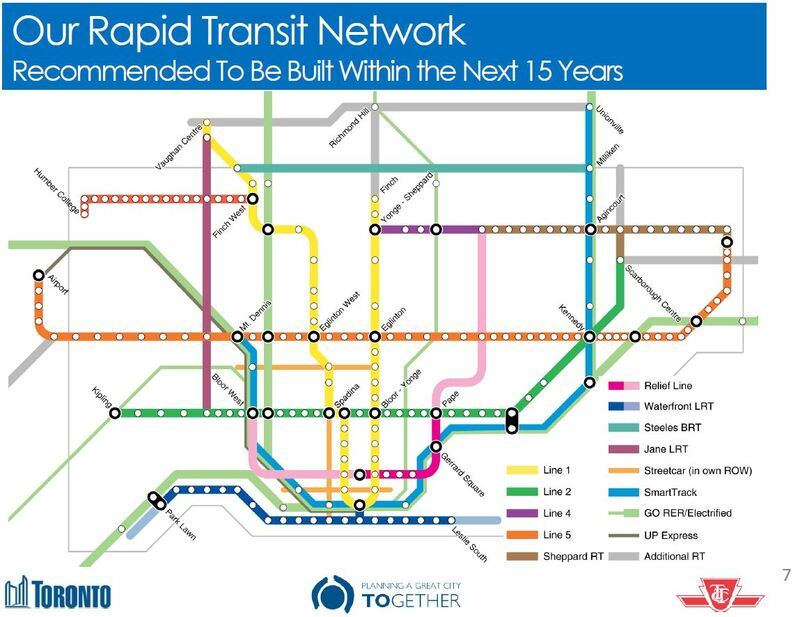 This graphic is amusing for its complete contrast with the way that Metrolinx/GO presented electrification of their services during early days of public consultation. That hit a low point when it was suggested that electric trains might not work in snow. Note that the official line now is that lots of cities use this type of service, and that electrification is an integral part of the package. 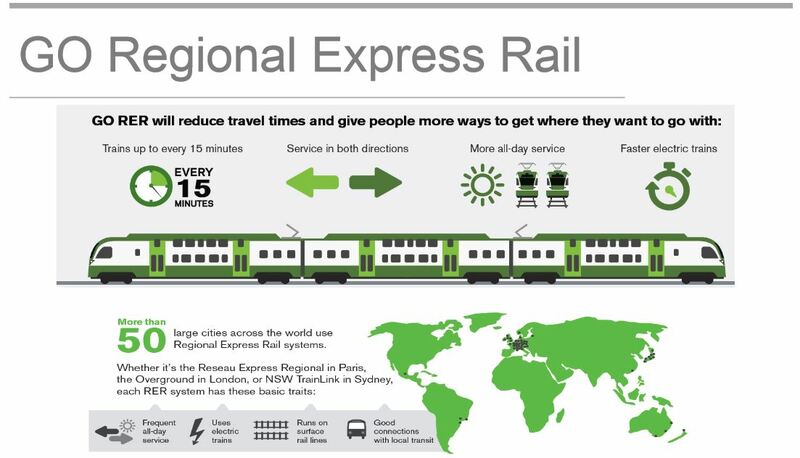 Metrolinx owes us all an apology for their initial foot-dragging and misinformation campaign. Now if only they had been more supportive of LRT during the dark days of Rob Ford.